Most hosts are already on a minimum of PHP 5.4 due to the fact that PHP5.3 is no longer supported by PHP and poses a huge security risk. However, some older hosts have not changed over yet. LeadsFlow Pro requires a minimum of 5.4 due to the fact most APIs already rely on features and functions of this minimal version. Swapping over to 5.4 is pretty easy on Cpanel and shared hosts. On a dedicated host you may need to speak to your host about making sure your current environment is upgraded to at least a minimum of PHP 5.4. For a shared host on Cpanel, just log in to your Cpanel and search for PHP Configuration. Once there just change the default for your hosting account to the latest version of PHP and a minimum of 5.4. 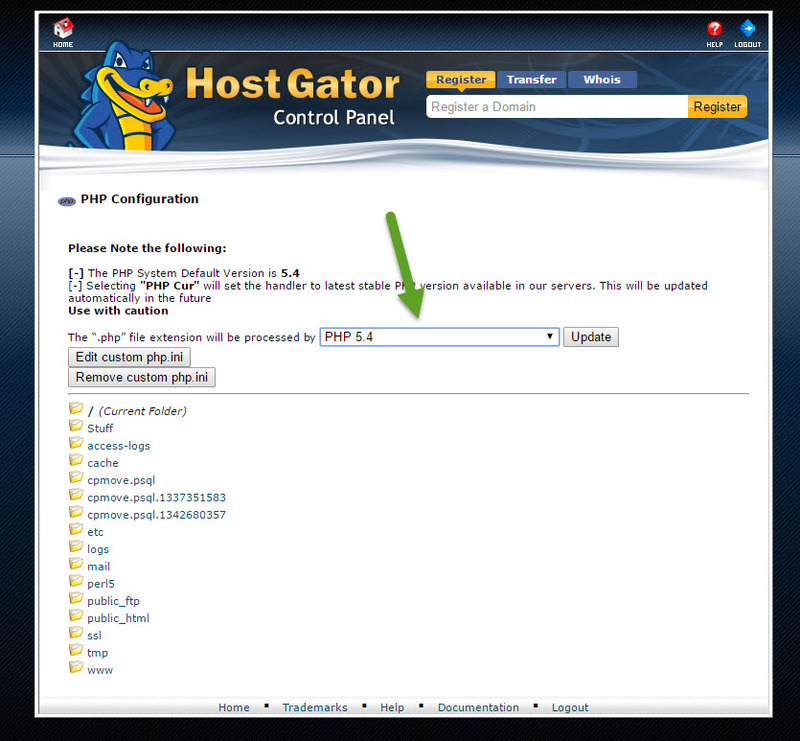 For example, in this screenshot from Hostgator, you can see the system default is 5.4. If you have any problems, please speak with your host as we cannot support hosts that do not have this as a minimum.